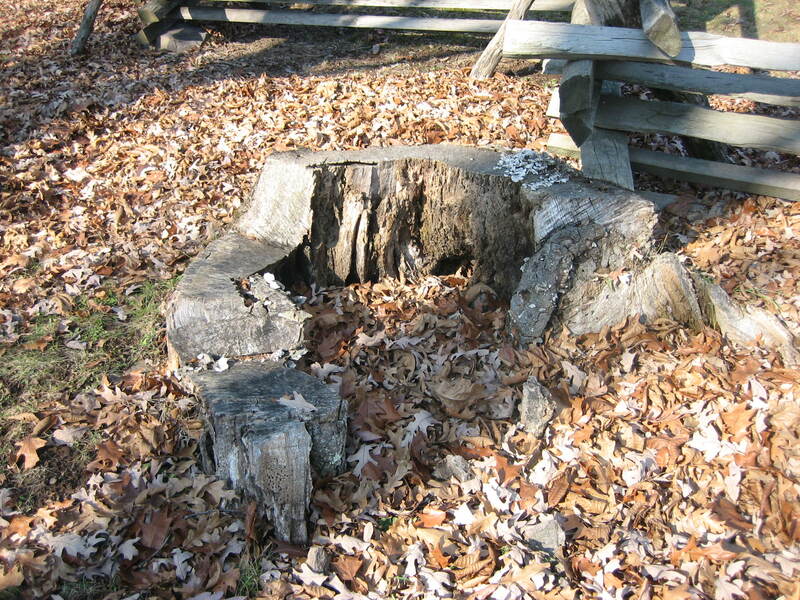 Confederate Major General Henry Heth was wounded by the tree to which this stump belongs on the afternoon of July 1, 1863. This view was taken facing northwest at approximately 12:00 PM on Friday, November 28, 2008. 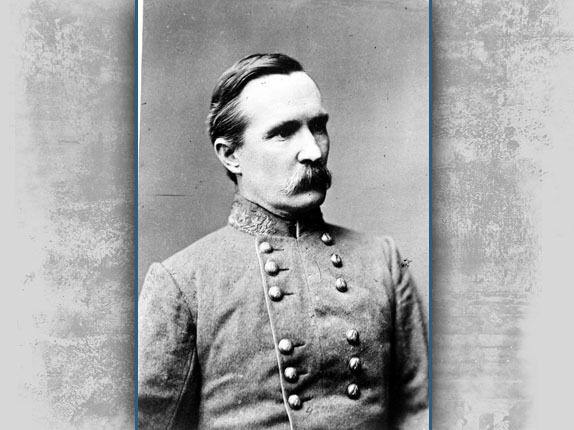 Confederate Major-General Henry Heth was wounded on July 1, 1863 as he advanced with his men through McPherson’s Woods/Herbst Woods/Reynolds’ Woods on the western arm of McPherson’s Ridge. 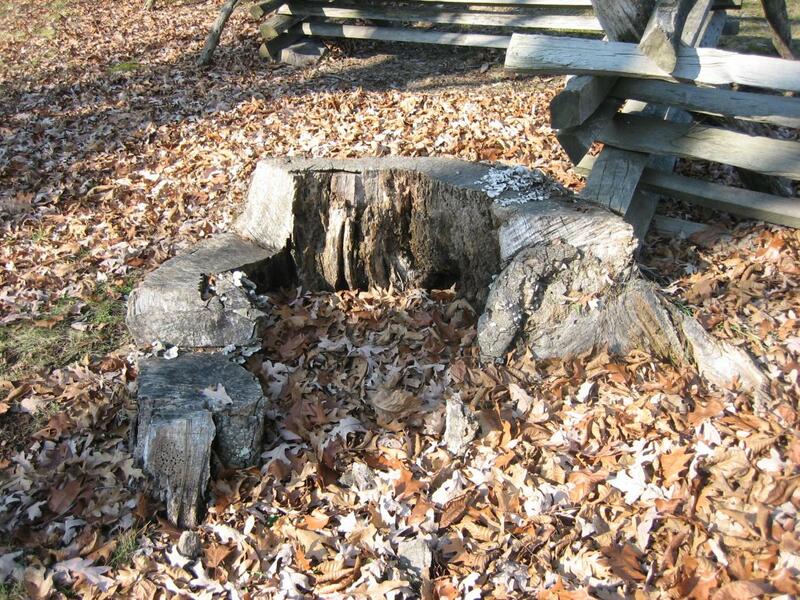 The tree marking the location where he was wounded has been cut down, but the stump remains at the north edge of the woods. 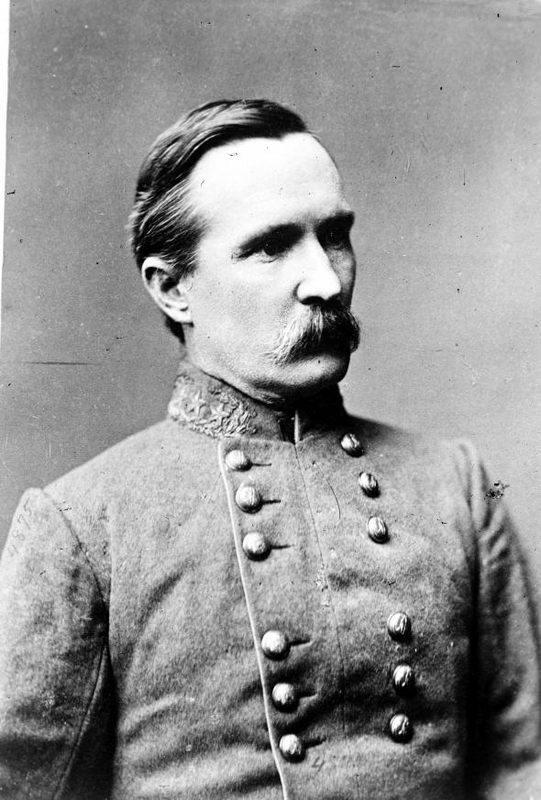 Major-General Henry Heth is best remembered for sending James J. Pettigrew’s brigade to Gettysburg the morning of June 30, 1863, as he said in his report, to “search the town for army supplies (shoes especially) and return the same day.” In his memoirs, Heth also claimed that he heard of a large supply of shoes in town. Pettigrew found the town occupied by cavalry and returned to Cashtown. 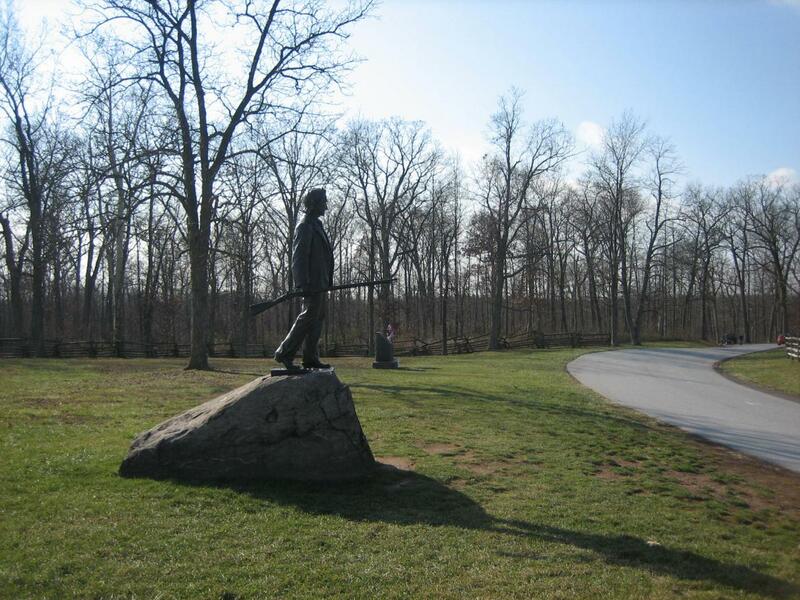 The morning of July 1st, Heth advanced with his whole division against what he thought was “cavalry, most probably supported by a brigade or two of infantry.” The Battle of Gettysburg began. Henry Heth graduated last in the West Point class of 1847, and his cousin, George Pickett, graduated last in the West Point class of 1846. This view was taken in the 1860s. 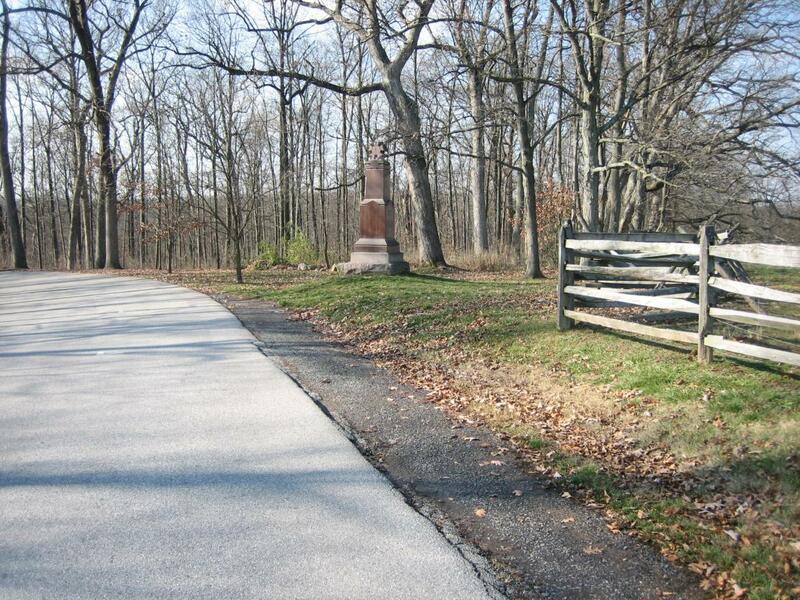 To get to the Heth Wounding Stump, drive on Stone Avenue past the John Burns statue, and the 84th New York (14th Brooklyn) marker. 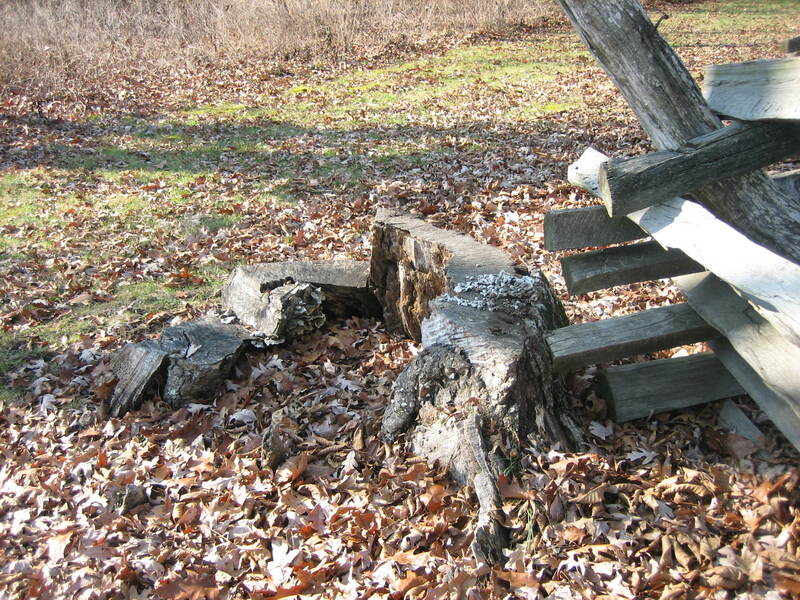 The Heth Wounding Stump is on the other (south) side of the wooden “worm” fence at the north edge of Herbst Woods/McPherson’s Woods/Reynolds’ Woods. This view was taken facing southwest at approximately 12:00 PM on Friday, November 28, 2008. Stop your vehicle next to the monument to the 7th Wisconsin Infantry Regiment. This view was taken facing southwest at approximately 12:00 PM on Friday, November 28, 2008. Cross Stone Avenue, and begin walking east on the south side of the worm fence. This view was taken facing northeast at approximately 12:00 PM on Friday, November 28, 2008. 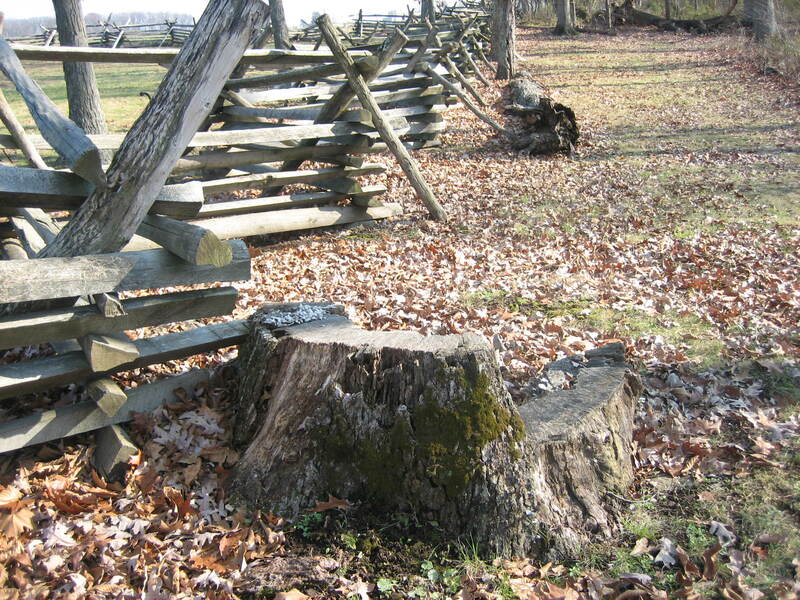 The Heth Wounding Stump will be near the sixth section of the fence from Stone Avenue. This view was taken facing east at approximately 12:00 PM on Friday, November 28, 2008. This used to be a large white oak tree, and it showed remnants of the cable to the old lightning arresting system. Approximately ten years ago the cable, not being grounded, allowed the tree to be struck by lightning. The lightning so severely damaged the tree, that for safety reasons, the National Park Service decided to cut it down. This view was taken facing east at approximately 12:00 PM on Friday, November 28, 2008. 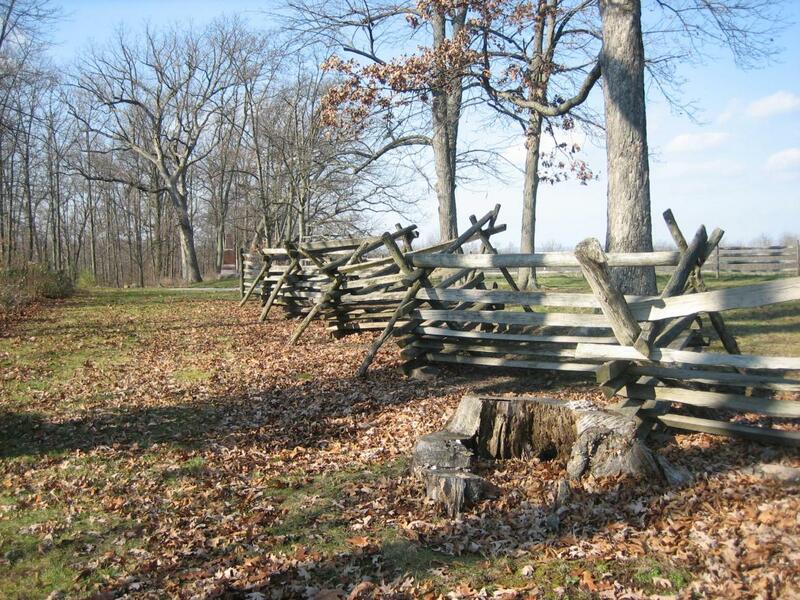 Heth was wounded here the afternoon of July 1, 1863 when his division was advancing with Dorsey Pender’s division. This view was taken facing southwest at approximately 12:00 PM on Friday, November 28, 2008. 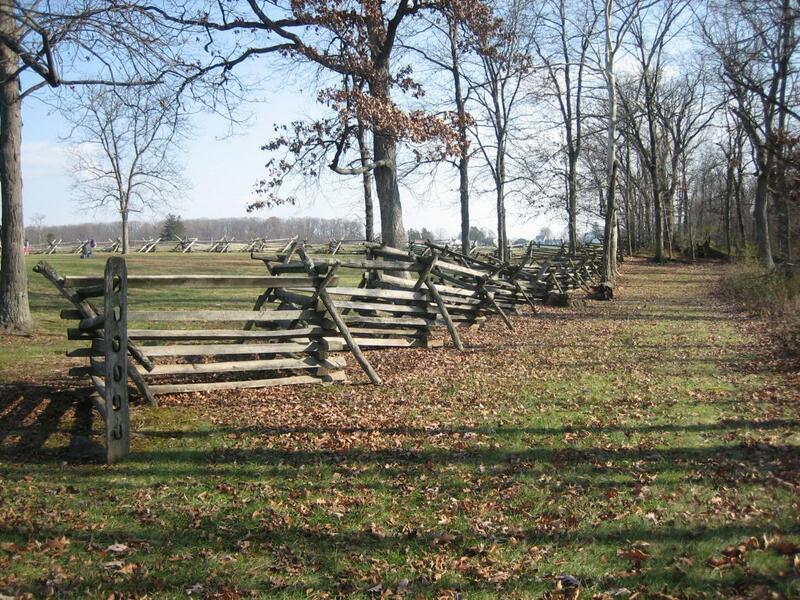 Heth witnessed the 26th North Carolina’s struggle with the 24th Michigan to the right (south) of this picture. 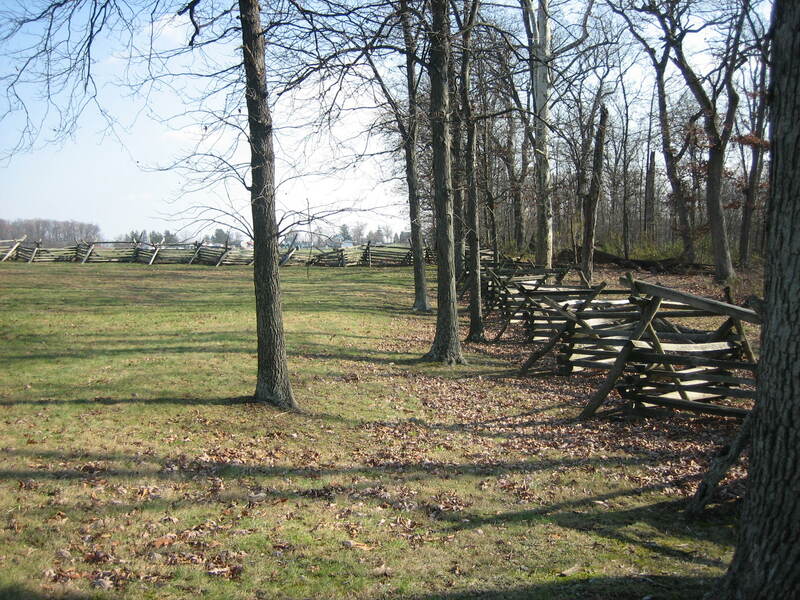 Then the Confederates began to advance to the east arm of McPherson’s Ridge. 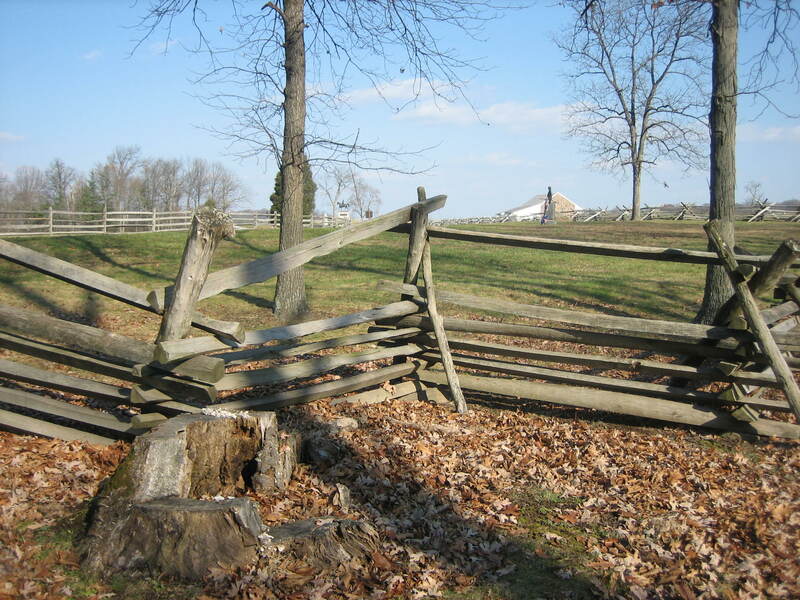 The east arm of McPherson’s ridge is the green grass on the other (east) side of the worm fence running left to right (north to south) in this photograph. Seminary Ridge is in the distant background. This view was taken facing east at approximately 12:00 PM on Friday, November 28, 2008. Heth would later claim that the shot which hit him came from the McPherson barn. This view was taken facing northeast at approximately 12:00 PM on Friday, November 28, 2008. The shot hit Heth in the head, but was not fatal, as it was partially deflected by a large wad of papers that Heth had stuck in his hatband. He would be almost senseless for the remainder of the battle. The monument to the 7th Wisconsin is in the background. This view was taken facing west at approximately 12:00 PM on Friday, November 28, 2008. 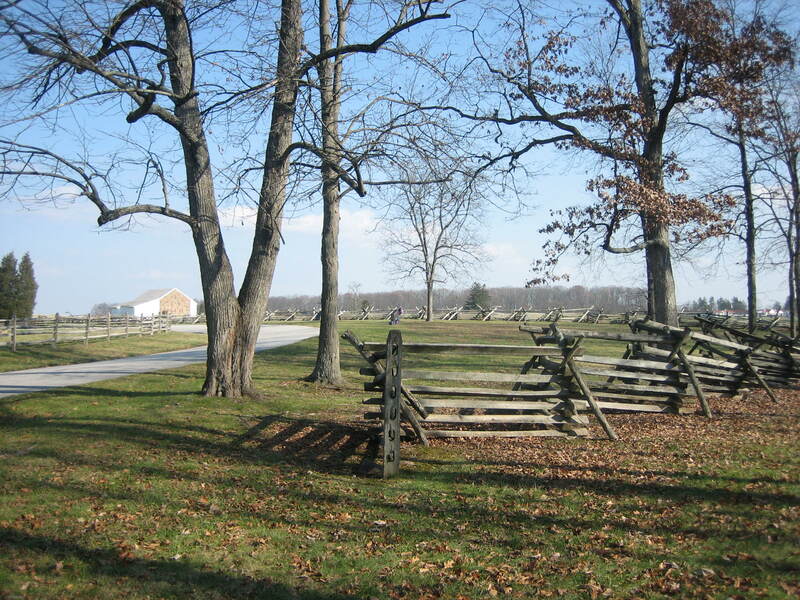 According to War Department records General Heth returned to the field “around 1900 and pointed out the tree.” This view was taken facing northeast at approximately 12:00 PM on Friday, November 28, 2008. See our post on the John Burns statue on March 27, 2008.